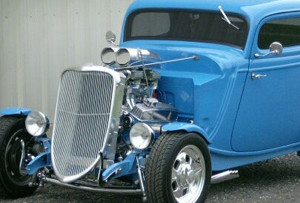 Our goal at Universal Muscle Cars is to help connect car enthusiasts, collectors and buyers with some of the best Classic Cars, Muscle Cars, Street Rods, Hot Rods, Rat Rods and Resto-Mods available and for sale on the market today. 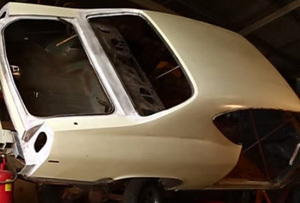 Our vast knowledge and reputation of over 30 years in the classic automotive business will exceed your expectations by offering you not only quality cars but professional restorations, repairs, detailing and more. Our ''On-Site'' service/restoration shop can do whatever it takes from full frame-off restorations to custom builds, repairs and detailing. Whatever you can dream up we can get it done and done right all at reasonable cost. Give us a call so we can make your dream a reality today. Universal Muscle Cars is a family owned and operated dealership with over 30 years in the Classic Car industry. We specialize in sales and service of all makes and models of American classics and muscle cars that Chevrolet, Pontiac, Ford, Dodge, Plymouth, Oldsmobile and Buick has to offer including hot-rods, street-rods, pro-streets, rat-rods, resto-mods and pro-touring cars. We deal in English and German antiques and collector vehicles as well as classic motorcycles and mini-bikes. Our large inventory of Classic Cars & Muscle Cars is constantly changing with new & exciting vehicles in stock and it's our goal to connect car enthusiast and collectors with the cars of their dreams at affordable pricing in today's competitive classic and collector car market. We attend many collector sales and auctions all over the country as well as seek out classic & muscle cars from large collectors so we can maintain an inventory of top quality cars for our customers to purchase. 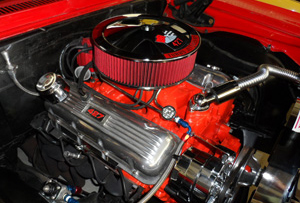 Universal Muscle Cars is also a full service restoration, repair & detail shop. We work on all makes and models of classic and collector cars and offer services from complete frame off restorations to the everyday maintenance to keep your ride running and looking smooth. Our team of professional mechanics will work with you every step of the way to build the car you always dreamed of owning. There's no job to big or to small for us to handle. We guarantee all of our work and provide quality repairs at a reasonable price. We have built up a great rapport with the classic car community hear in Maryland and have offered our years of experience in buying and selling Classic Cars to our customers and fellow motor heads. Looking for a numbers matching 1969 Camaro? We will locate a specific vehicle for you, inspect or appraise one's value, or even help you sell your current classic car by representing it at one of the world class auctions and sales we attend. We are here to help you get the job done! Take a look at our inventory and services offered and feel free to contact us for more information. Remember we are car guys too and you'll feel welcomed and right at home in our garage!